GAF is home to stunning and durable roof products in North America, but its line of Timberline HD® Shingles is arguably second to none. For many reasons, these shingles can meet the most demanding aesthetic and performance requirements. 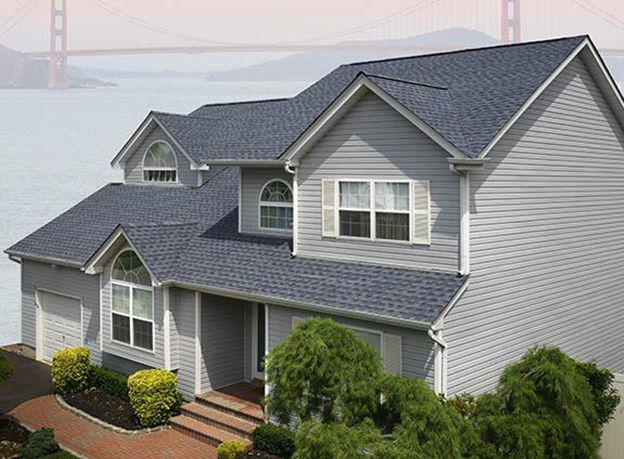 This asphalt shingle series is second to none when it comes to delivering the timeless charm of real wood. These amazing shingles can enhance your home’s curb appeal by giving your roof the genuine wood-shake impression at the fraction of the cost. And because it only looks wood, your roof wouldn’t be susceptible to the vulnerabilities of the real thing. Apart from their taxing and steep maintenance chores, actual wood shakes are highly prone to mold and mildew growth and moss. On the other hand, any Westchester roofing system made with Timberline HD Shingles are incredibly low-maintenance. And since they come in a huge array colors, it’s easy to achieve your desired look for your roof. Reinforced by GAF’s Advanced Protection® Technology, choosing Timberline HD Shingles is the best way to protect your most valued asset. As proven by more than 185 tests, no asphalt roof product can trump this shingle series in long-term durability, extensive extreme-temperature resilience, and wind-driven rain performance. In other words, this added layer of protection makes your roof extra tough to stand up against the abuses by Mother Nature. In addition, this revolutionary technology takes fire resistance several notches higher. The Timberline HD Shingles have unparalleled granule adhesion. This means the shingles on your Norwalk roofing system would remain as rich in color as the day they were installed. If you’re really serious about preserving your curb appeal for years to come, these shingles would stay ageless despite enduring the rigors of the ever-changing seasons. As a replacement roofing project is a major investment, it pays to put your money on the product that rolls value and performance into one. To learn more about Timberline HD Shingles’ features, call Vinylume now at (866) 244-8029.